Why Warren Buffett Was a Valuentum Investor - Valuentum Securities Inc.
At Valuentum, we take Buffett's thoughts one step further. We think the best opportunities arise from a complete understanding of all investing disciplines in order to identify the most attractive stocks at any given time. We analyze each stock across a wide spectrum of philosophies, from deep value through momentum investing. We think companies that are attractive from a number of investment perspectives--whether it be growth, value, income, momentum, etc.--have the greatest probability of capital appreciation and relative outperformance. The more deep-pocketed institutional investors that are interested in the stock for reasons based on their respective investment mandates, the more likely it will be bought and the more likely the price will move higher to converge to its true intrinsic value (buying a stock pushes its price higher). On the other hand, we think the worst stocks will be shunned by most investment disciplines and display expensive valuations, poor technicals and deteriorating momentum indicators. We combine an extensive three-stage discounted cash flow process (creating complete pro-forma financial statements) with a relative value assessment (price-to-earnings, PEG) and then add on a technical and momentum overlay to identify the best entry and exit points on the most attractive stocks on the market today. We think earnings and free cash flow drive the valuations of stocks, and we use a tried-and-true margin of safety concept to determine which firms are undervalued. We embrace Warren Buffett and Benjamin Graham. Our technical and momentum process is also very simple and straightforward--we're not reading the stars in our technical/momentum process for our next great alpha-generator. When value and momentum investors like the same stock, it explodes - think Apple (AAPL) as the most recent example. If value investors don't combine the two, they could be left holding the bag - think Radio Shack (RSH) or Hewlett Packard (HPQ). And if momentum investors don't respect valuation, they can find themselves holding Netflix (NFLX) at $200 per share. We love to find stocks that are undervalued and that are just starting to exhibit strong technical/momentum indicators - these tend to be home runs! During the 1950’s and early 1960’s, Warren Buffett stated his investing style was mostly based on the philosophy of his former teacher, Benjamin Graham. Graham’s investing style was incredibly conservative. His mission was to achieve above-market returns with a wide margin of safety (essential to Valuentum investing) and lower risk than the broader market. To do this, Graham, and then Buffett searched for companies that were priced lower than their book value, which gave the famed investors a margin of safety. In the worst case scenario, a firm could liquidate its assets and return the resulting cash to shareholders. These situations rarely, if ever, exist now, but we’d certainly be interested in taking a look if they did. 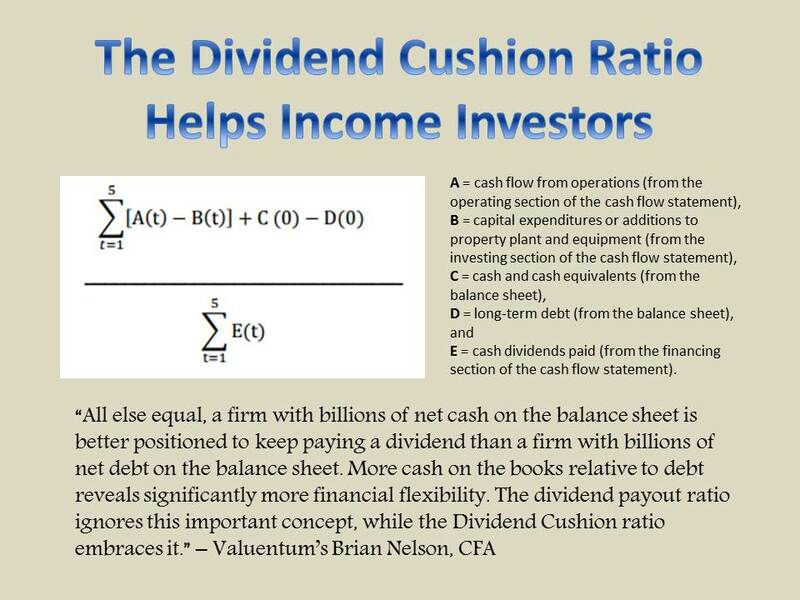 Today, both Buffett and Valuentum use a discounted cash flow methodology to determine the intrinsic value of a company. During the 1950s and 1960s, Buffett used one of the criteria of Valuentum investing, and that was buying the most undervalued stocks with wide margins of safety. The companies he bought during this era were dramatically undervalued. In fact, Buffett occasionally had to call investors who might own shares in these small stocks in hopes they would sell (luckily it’s a bit easier today), accumulating large positions. Over time, these positions significantly outperformed the market year-after-year, revealing continued momentum. Buffett’s stocks during this time period were undervalued and had strong momentum – they were in fact…Valuentum stocks. In order to evolve to a rapidly-changing market, Buffett, with the assistance of his legendary partner, Charlie Munger, realized he had to evolve. Dramatic market inefficiencies due to a lack of information transparency were quickly disappearing. As a result, the business itself mattered much more than before. What qualitative aspect did Buffett layer on his process? In his own words, he looked for firms he could understand--he never touched companies like Intel (INTC) or IBM (IBM) [at the time] because he didn’t understand the futures of the firms’ respective industries. But other than that, Buffett continued to simply look for undervalued stocks. Coca-Cola was experiencing some real weakness in the late 1980’s. Coke II proved to be a failure, and the company was losing market share to competitor Pepsi (PEP). However, Buffett recognized that the company was trading at a significant discount to its intrinsic value and that Coca-Cola was steadily improving its competitive condition. At the time, the firm wasn’t a great business, but it was certainly cheap. Coca-Cola’s stock proceeded to increase nearly 1800% over the next 10 years, without accounting for dividends. Buffett continued to add to his position while it remained attractive, and the stock continued to perform well. Coca-Cola was an incredibly cheap stock at the time of his investment, and the stock’s continued strong momentum revealed it was a Valuentum stock – an undervalued stock that continues to exhibit strong technical and momentum characteristics. But that’s not the end of the story with Coca-Cola. In 1998, the firm traded at nearly 50x earnings, likely above its intrinsic worth and was starting to lose share to non-soda beverages. Buffett recognized the valuation was absurd, and by all accounts, he and Munger wanted to sell the position. However, Buffett owned 8% of the company and was on the board of directors, so he didn’t sell because he felt an obligation to the company’s shareholders. Shares of the beverage maker fell 50% over the next several years and have only started to approach previous highs recently. Luckily, we’re not bound by the same social and size limitations that Buffett is. Our process would have alerted investors to reconsider their positions in Coca-Cola (when they were overvalued and started to demonstrate deteriorating technical and momentum indicators) to avoided the collapse. Stocks that are overvalued and are starting to exhibiting poor technical and momentum characteristics are also Valuentum stocks – though these are short (put position) ideas. Another classic Buffett/Valuentum investment occurred in 1963. American Express guaranteed soybean oil tanks that were used as investment collateral. A rogue trader named Anthony De Angelis figured out a way to cheat the system, overleveraged himself and lost everything. American Express was on the hook for $150 million - $175 million in losses that it guaranteed (a hefty sum in the 1960’s). The stock fell precipitously, but Buffett noticed the actual franchise was not endangered at all. Although shares pulled back, the fundamental story behind the company was unchanged, and its intrinsic value remained much higher than the price Mr. Market assigned to the firm. He purchased as much as he could get his hands on, for a total outlay of around $13 million. Though he made several subsequent investments in the company, Buffett was able to earn a hefty return for his partnership, with a profit estimated at over $20 million. In 1994, Buffett went back to American Express, which was losing share to Visa (V) and Mastercard (MA), but looked cheap. It had bounced between $8 and $12, but if we look at the chart below, we see the position Buffett accumulated during 1994-1996 took off. Again, Buffett invested in a stock that was extremely undervalued and that continued to demonstrate strong technical and momentum characteristics year-after-year as he accumulated his investment. Alice Schroeder’s Snowball, a Buffett biography, goes in into explicit details regarding his investment in the Washington Post (WPO). Katherine Graham became the firm’s largest shareholder and chairman of the board when her father, Phillip Graham, committed suicide in 1963. Though the firm had expanded via acquisitions of cable TV stations and Newsweek, shares languished for some time. In 1973, Buffett began accumulating a position that totaled 1.8 million shares for a total outlay of $10.6 million. The stock was cheap and had plenty of under-appreciated assets. By 1981, Katherine Graham had become an effective leader and the market recognized the firm’s value, as it had risen to $58.2 million, or a 447% return. Buffett owns about 1.7 million shares today, and his stake has grown to $645 million. The 11% compounded annual return certainly isn’t his best investment, but he hasn’t sold shares out of loyalty to the late Graham rather than because it was the best use of his capital (a luxury one can afford when their net worth exceeds tens of billions of dollars). However, the Washington Post was a Valuentum investment for nearly thirty years. Obviously the Internet era has been completely disruptive to the firm’s business model, but the firm’s education business, Kaplan, was able to mitigate the negative impact of the newspaper business for some time. Assuming he sold when the company was valued at over 30x earnings in early 2004 his stake could have sold for $1.37 billion, or a total return of about 1281% (over 17% per year compounded). During most of the time period that Buffett owned the Washington Post, the stock was a Valuentum stock -- an undervalued stock with continued strong technical and momentum qualities. We don’t doubt that Buffett is one of the greatest investors of all-time, but he also teaches us as much about failure as he does about success. He famously called his purchase of Berkshire one of his worst investments ever. At the time of his first purchase, Berkshire Hathaway was a Massachusetts-based textile operation. Of course, this was before production moved to lower cost facilities in the south and abroad. As a commodity business, other companies were able to become the low cost leader while Berkshire began to pile up millions of dollars of losses. Buffett wrote in his 1985 annual letter to shareholders that Berkshire had $22 million of net asset value when he took control in 1964. However, the pure accounting did not mesh with the intrinsic worth, as the firm was undergoing all of the competitive pressures we cited above. 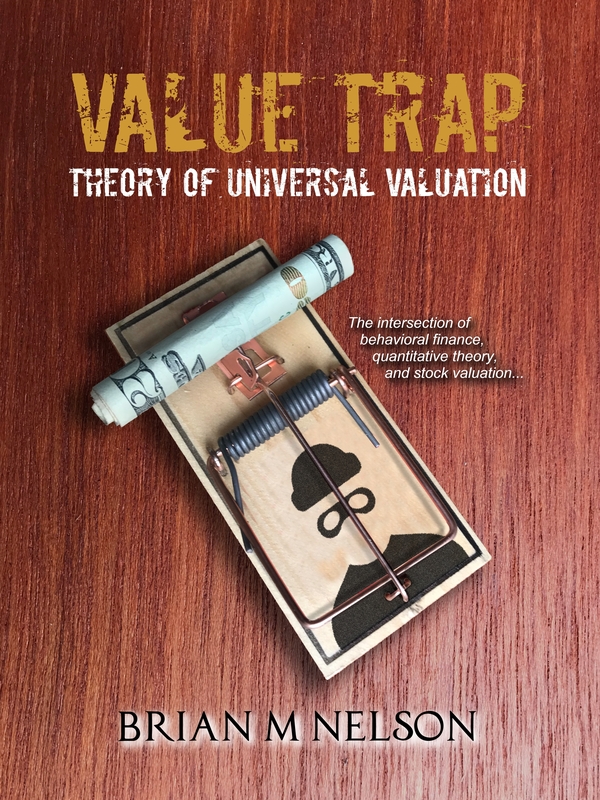 Buffett’s excursion into Berkshire is why we don’t simply become interested in firms that are incredibly undervalued—in fact, by combining both a value and momentum assessment (a Valuentum assessment) we are better able to avoid today’s Berkshires -- Hewlett-Packard, Research In Motion (RIMM) and Radio Shack are three recent examples. All things considered, Warren Buffett has generated excellent performance by investing in undervalued stocks that have demonstrated continued strong momentum and outperformance in the years since purchase. Warren Buffett may not have known it, but he was perhaps one of the market's first true Valuentum investors.